The image of spring symbolizes the birth of life. "Birth" is the central theme of Hirose's work. Within the idea of birth there is the universal image of procreation. The idea is conceived and then evolves through an invisible process that engenders continuous and endless - though constantly different - forms. The names of the works (Surprise, Mushrooms, etc.) express the invisible ties between objects and people. "MILLEPRÍ" thrives on play. The creative act follows no rules. The shape of her work symbolizes her free and playful spirit that does not conform to predictable patterns. 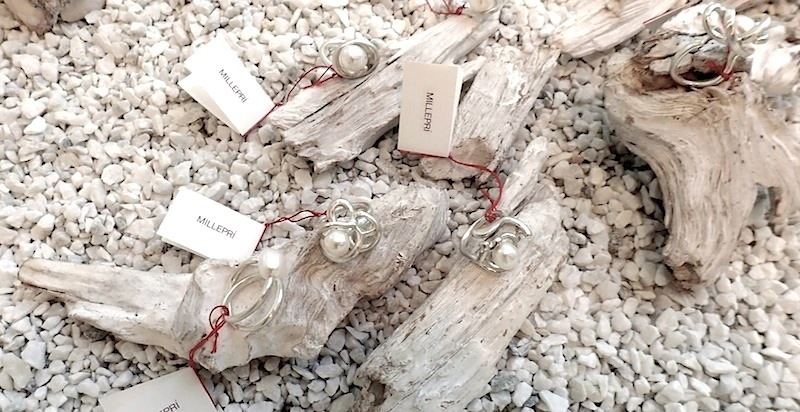 MILLEPRÍ jewelry evokes an imaginary journey towards the discovery of new worlds. The artist's name "Chiharu" translated literally means "Mille Primavere" (Thousands of/Eternal Springs)", but for the Italian brand it was abbreviated to""